When it comes to dating apps, Andrey Andreev is no neophyte. The Russian entrepreneur is the founder of Badoo, an investor and advisor for Bumble, and a key player in the growth of Blendr, Huggle, and Chappy. 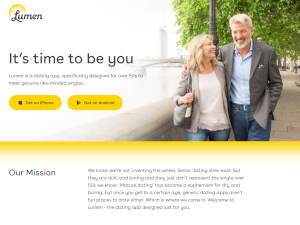 He may be the industry’s most prolific matchmaker, and he’s making headlines again with new venture for senior singles. Andreev and co-founders Antoine Argouges and Charly Lester have announced the launch of Lumen[*1] , a dating app specifically designed for singles over 50. 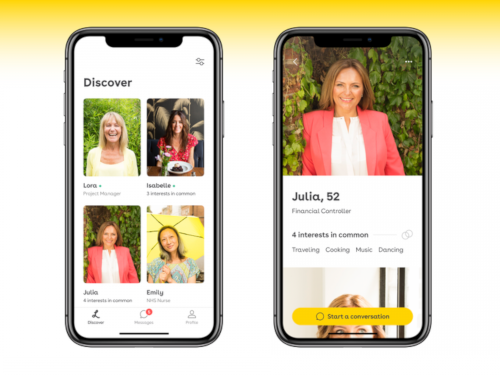 Though it’s not the first dating service to target the underserved mature market, it hopes to best competitors by providing a modern and fun experience that knows what the niche is missing. Andreev invested £3.5 million (over $4.5 million) to bring Lumen to launch. "When you look at dating products specific to over 50s, they are all dating websites. 80 million singles over 50 in North America and western Europe, yet [the demographic is] underrepresented by dating sphere," he told Forbes[*2] . Lumen aims to address this issue by creating a safe and entertaining space that encourages quality conversations and connections. Every profile is required to include a detailed bio and at least three photos, all of which must pass Lumen’s photo verification process. This discourages the creation of fake profiles while promoting transparency and trust. It may also help the over-50 audience -- who sometimes lack the trust their younger counterparts have in technology -- feel safe using the service. Users may start only three new conversations per day and messages must be at least 50 characters long. This not only forces users to think carefully about who they wish to connect with, but ensures that they communicate in a more substantial way. Lumen is available now for iOS and Android.